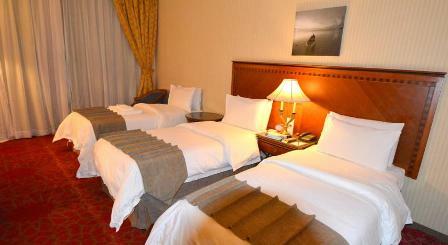 Al-Jaad Madina 4-star hotel is in central Medina is only 180 m from the Prophet’s Mosque. 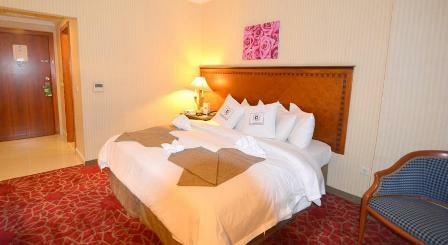 It offers elegant rooms with modern décor and transfer services to Prince Mohammed International Airport. 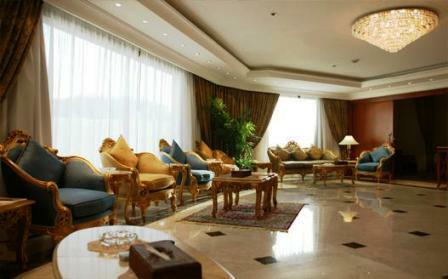 All air-conditioned rooms at Al Jaad Madinah Hotel are equipped with satellite TV, an electronic safe and a coffee maker. Each room is decorated with mahogany furniture and golden details. 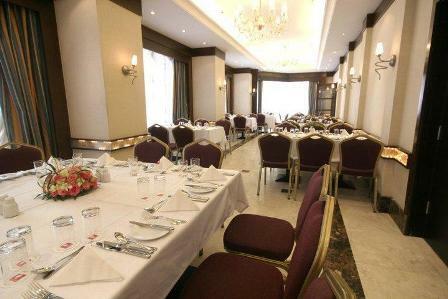 At the Four Leaves restaurant, guests can taste international, Turkish and Arabian dishes. Special diet menus can be arranged, and the hotel offers an on-site bar and a room service.